2019 Applications are now closed! Applications for our 2019 conference closed on the 10th of January and CamMUN has proved itself to be more popular than ever with all spaces being filled even faster than last year! We're looking forward to seeing all our delegations in March and study guides will be posted in the coming weeks to help with … Continue reading 2019 Applications are now closed! 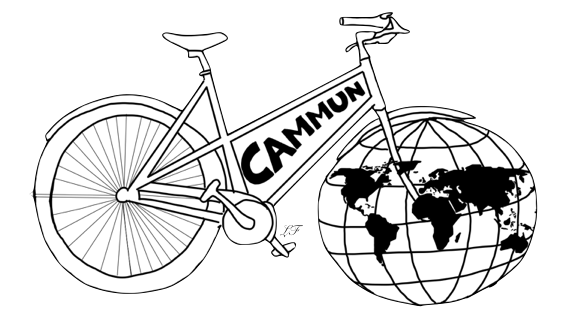 Registration now open for CamMUN2019! Registration has now opened for CamMUN2019 over on the MyMUN Our 2019 conference will be accepting delegations from all across the UK, Europe and further afield so please apply as early as possible to avoid disappointment! You must apply as a delegation and all delegates must be attending high school at the time of the … Continue reading Registration now open for CamMUN2019! A welcoming message to all future participants and guidance teachers. We're excited to announce that registration for CamMUN 2019 will open end of October. The registration is not first come, first served, so we welcome registration whenever you're ready and as soon as we are ready to receive you! We will start accepting delegates in late October, the date has not been finalised yet but check … Continue reading Delegate Registration will open soon! Today we take for granted relatively fast shipping from around the world without considering not only the journey of the item itself, but also the story of the infrastructure required to facilitate that fast delivery. The world has been shaped by canals, quite literally! Numerous canals have been built to facilitate more efficient trading routes, … Continue reading Whatever floats your boat!